Double-shoulder carrying strap 69905160 https://www.kaercher.com/ae/accessory/double-shoulder-carrying-strap-69905160.html Ergonomic double-shoulder carrying strap for long, fatigue-free work with the battery-powered leaf blowers from the 50 V range. Comfortable and less strain for the user. The carrying frame and the soft shoulder pads of our ergonomic double-shoulder carrying strap optimally distribute the weight of the battery-powered leaf blowers from the 50 V range to several contact points. 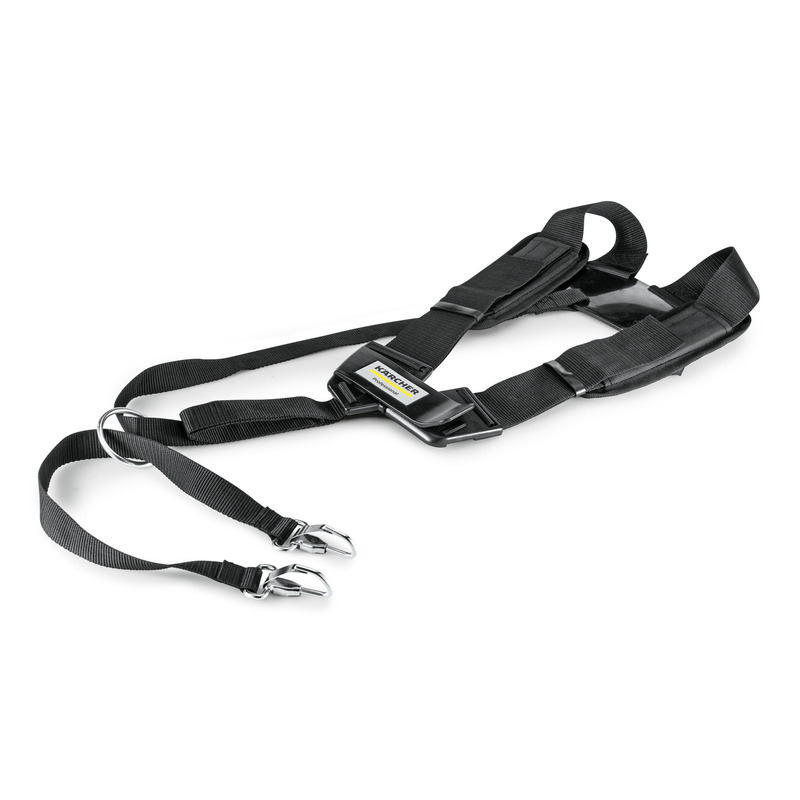 The carrying strap relieves the strain on the user considerably and also easily allows longer, fatigue-free work activities.